From the team that created the ALA Notable Book The Cod's Tale comes the fascinating history of salt, which has been the object of wars and revolutions and is vital for life. 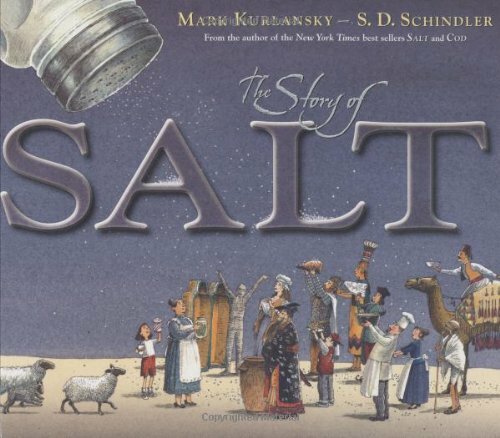 Based on Mark Kurlansky's critically acclaimed bestseller Salt: A World History, this handsome picture book explores every aspect of salt: The many ways it's gathered from the earth and sea; how ancient emperors in China, Egypt, and Rome used it to keep their subjects happy; Why salt was key to the Age of Exploration; what salt meant to the American Revolution; And even how the search for salt eventually led to oil. Along the way, you'll meet a Celtic miner frozen in salt, learn how to make ketchup, and even experience salt's finest hour: Gandhi's famous Salt March.